ATTENTION INVESTORS! 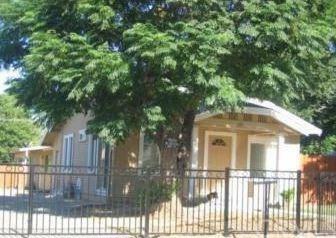 2 UNITS ON A FENCED LOT WITH ALLEY ACCESS AND THEIR OWN GARAGES AND LAUNDRY. FRONT UNIT HAS 2 ROOMS BEING UTILIZED AS BEDROOMS AND PER THE TAX RECORD WAS BUILT IN 1931, REAR UNIT IS A 2 BEDROOM AND PER THE TAX RECORD WAS BUILT IN 1991. 2 SEPARATE WATER METERS!!!! SELLER MAY FINANCE WITH AN ACCEPTABLE DOWN AND TERMS!